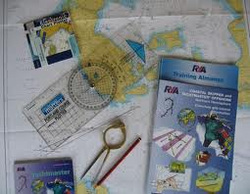 Whether you are a sailor or a motor boater, these shorebased courses equip would-be and experienced skippers with enough knowledge, at least in theory, to go afloat and take charge of a yacht. Our range of theory courses are detailed below. There are various ways to complete these courses: through evening classes, an intensive course, or by distance learning.